In the aftermath of Thursday's Tomahawk cruise missile attack on the Ash Sha'irat airbase in Homs, Syria, Moscow vowed to strengthen its air defense umbrella over the country. Experts have already explained which systems need to be deployed to ensure Syria's safety against future US attacks. Russian Defense Ministry spokesman Maj. Gen. Igor Konashenkov has confirmed that Moscow will be strengthening Syria's air defenses following the massed US cruise missile attack on a Syrian airbase Thursday night. "In order to defend the most sensitive objects of Syrian infrastructure, a number of measures will be implemented in the near future to strengthen and improve the effectiveness of the air defense systems of the Syrian Armed Forces," Konashenkov said Friday at a Ministry briefing. The spokesman suggested that it was noteworthy that only 23 of the 59 Tomahawk cruise missiles launched from US Navy destroyers made it to their targets at Ash Sha'irat. "It is not clear whether the other 36 cruise missiles landed," Konashenkov said, without offering any more details. Indeed, an air of mystery now surrounds the three dozen failed cruise missiles, with experts speculating over whether they were simply duds, past their "best before" date, or if they may have been shot down by Syria's air defenses. Russian experts, meanwhile, have also explained that Russia's own air defense systems deployed in the country are marked for the pinpoint defense of Russian military sites and hardware in the country. Furthermore, they've pointed out that until Thursday's incident, the Russian systems had operated in accordance with Moscow's memorandum with Washington on avoiding incidents over Syria's skies. This presumably meant that the air defenses wouldn't target presumed 'friendly' US objects. 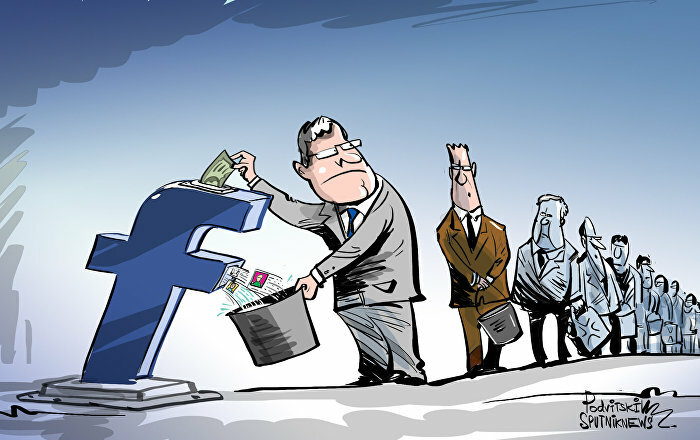 On Friday, Moscow suspended the agreement. An S-400 air defence missile battery deployed for combat duty at the Hmeymim airbase to provide security of the Russian air group's flights in Syria. Still, the 23 missiles were enough to severely damage the Ash Sha'irat airbase, destroying six MiG-23 fighters, a storage depot, training facility, cafeteria and radar station. Over half a dozen soldiers, as well as nine civilians, are also thought to have been injured or killed in the attack. Moscow's decision to strengthen Syria's air defenses is long overdue, says Vladimir Karjakin, a retired Air Force colonel and professor at the Defense Ministry's Military University in Moscow. "In order to create an air defense system which can defend against any air attack, it's not enough to use the S-300 and S-400 long-range antiaircraft missile systems," he explained. "It's necessary to understand that the supply of these systems to Syria was, first and foremost, a military-diplomatic move. By doing so, we demonstrated, first and foremost to Turkey, that the Russian Federation is capable of introducing a no-fly zone over Syrian territory, thus insisting that the Turkish Air Force should proceed as carefully as possible." "All of this is well and good, but for the genuine defense of objects (both civilian and military) from the air, completely different means are needed," the officer stressed. "Means such as the Buk medium-range air defense system, the short range Tor and Kub, and even portable systems such as the Verba and the Igla." Surface-to-air missile weapon system Pantsir-S1 and Igla-S MANPADS system with 1PN97M Mowgli-2M thermal imager, used by Iraq's armed forces. 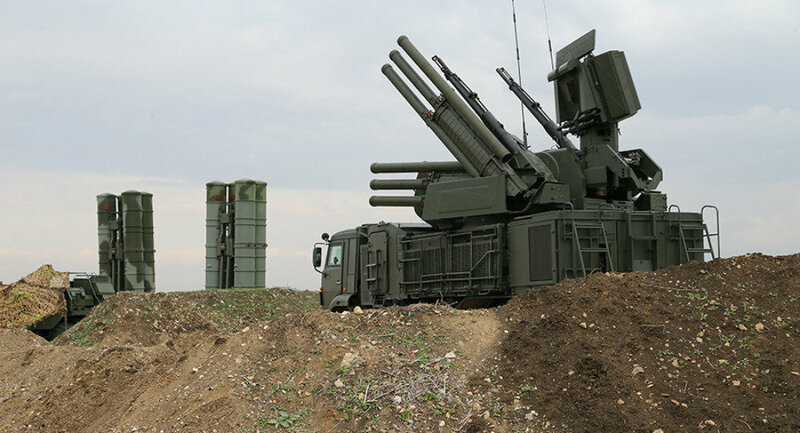 "Furthermore, I believe that Syrian air bases and garrisons must be equipped with the Pantsir-S self-propelled anti-aircraft missile and gun systems on a priority basis," Karjakin added. "This system can detect and destroy any aircraft, helicopter, guided aerial bomb or enemy ballistic missile in a matter of seconds. In addition, the Pantsir-S1…is also designed to destroy ground targets, making it truly universal. The system combines anti-aircraft missiles and cannons, and there is no analogue…in the world today." "If the Syrians had had the Pantsir-S, the outrage of the [US] cruise missile attack on the Ash Sha'irat airbase would not have happened," the officer noted. "By the way, another important lesson from this attack was that there need to be a lot of air defense systems at Syria's [military] installations. Otherwise, in the event of a massed strike, the technical capabilities of the air defense system will not allow for the processing of all targets." In the final analysis, Karjakin suggested that thankfully, it doesn't yet seem that this 'gesture' by Trump will become a regular occurrence. "I think that this was a one-off gesture by President Trump. With the missile strike, he improved his rating in the eyes of the US political elite, demonstrating that he is 'resolute', and that he is not on Moscow's leash," something the mainstream media and his opponents had long accused him of. "If that's the case, strengthening the Syrian air defenses may not seem necessary. However, as they say, 'better safe than sorry'. Dense air defense systems around the most important pieces of infrastructure can't hurt." 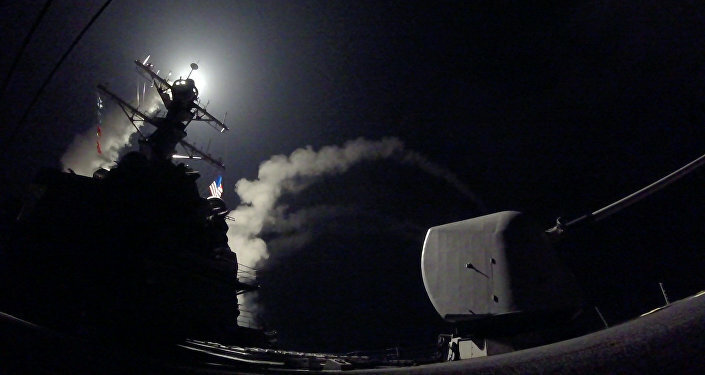 In any case, the expert noted that Russia and Damascus had learned a valuable lesson Thursday. "Ultimately, everything depends on the resolve of the parties. If, next time, the US is repulsed, this will serve as the best deterrent against the escalation of tensions around Syria," Karjakin concluded.